As it turns out, last week, while I was whining about making potatoes instead of pretty little spring asparagus, I should have just been at the store buying some pretty little spring asparagus. Because last week they were front and center in the produce department, but when I went yesterday, they were nowhere to be found. The horror! 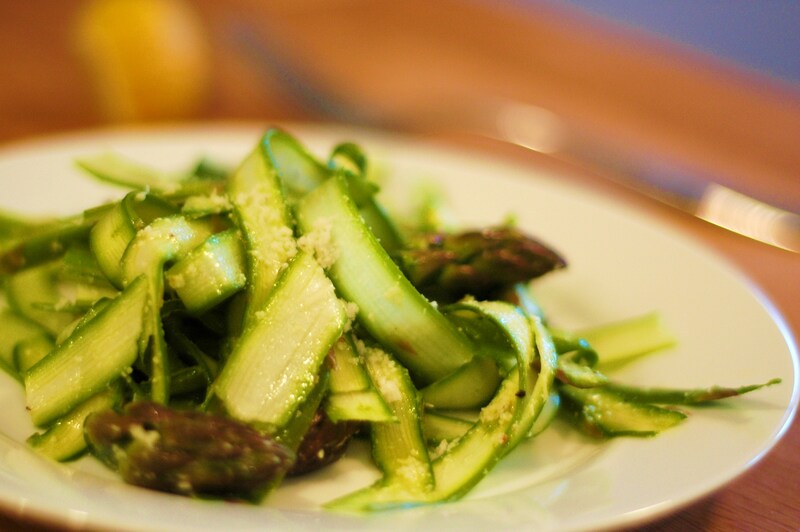 Had I really missed asparagus season after all my excitement about spring vegetables? Well, no, not technically. I found the asparagus smooshed between the poblano peppers and the bitter melons. Um, random! It was almost as if a rogue store employee has the same penchant for spring vegetables that I do, and was keeping them discreet, so as to keep the better selection for themself after the store closed. I like to think that I really earned my asparagus, outsmarting those wily shelf stockers and finally finding my hidden treasure. I appreciate my chunky little stalks that much more. So then I came home and took lots of pictures of my asparagus. What? Apparently asparagus season is almost over, so I have to at least have a picture to remember it by. 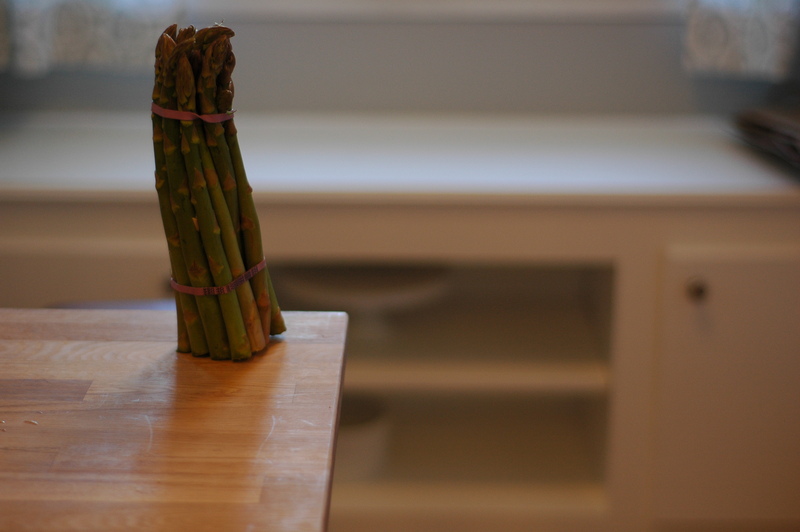 I call this: The Asparagus Stands Alone. So, after all this excitement, I could hardly cook it. No way. 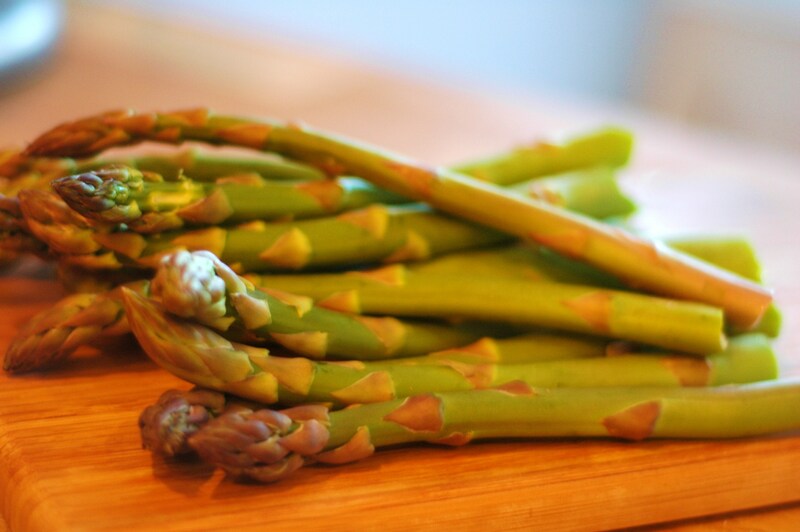 If I was just going to steam it and slather it in hollandaise sauce, I could wait and use out-of-season asparagus. I’ve had my eye on this recipe from Bon Appetit for a while now, and it seemed like the perfect solution. 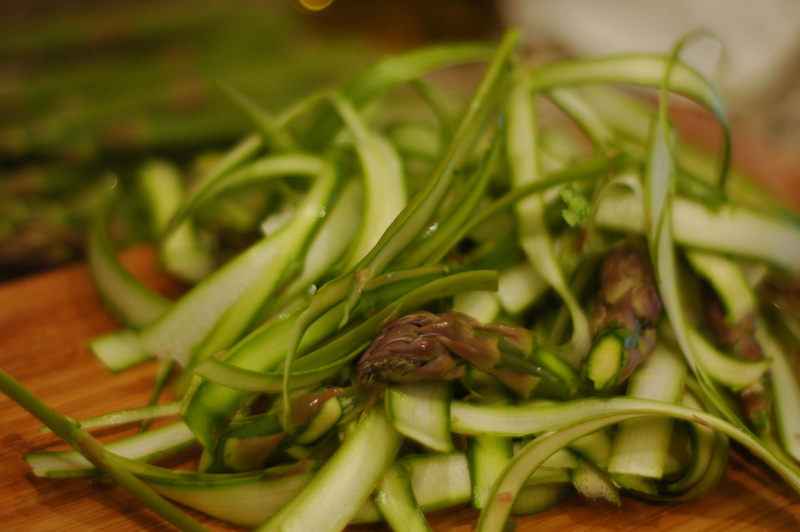 It’s about as simple as it gets… you shave the asparagus spears with a vegetable peeler, toss it in a little vinaigrette, and you’re pretty much ready to go. In my all of my terror/joy in the midst of the asparagus hunt, I forgot to pick up a hunk of parmesan cheese. I really regretted it later. I wound up using some pretty-good-quality pre-grated stuff, but I think this dish would have really benefitted from a few shavings of the really good stuff. 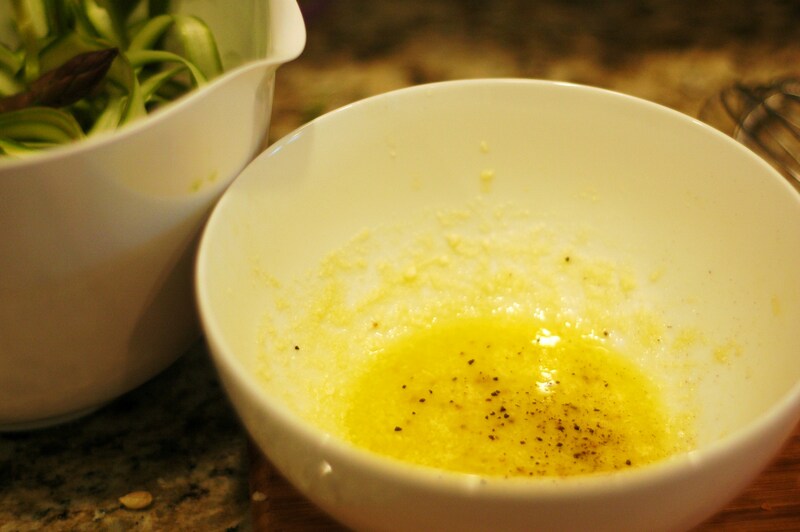 Even without it though, this makes an awesome salad. 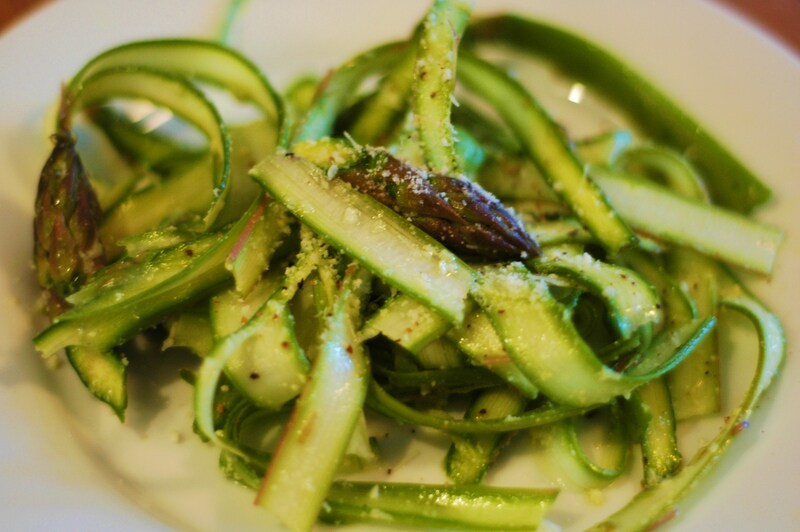 The asparagus is the star here. Just like it should be.